The 10 Commandments, tithing, church attendance, do this, do that, don’t do this, stop doing that….we Christians like to make things so much more difficult on ourselves. We have the mentality that in order to be approved by God we need to obey the law and be busy doing things for Him. Maybe by doing these things we feel better about ourselves and more spiritual because we are doing something for God. 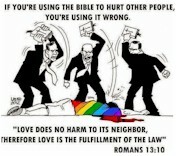 Galatians 2:16 and 20 (NASV) make it plain that we are not justified by the works of the law. We are justified by faith in Christ. Jesus lived a perfect life here on earth. He lived up to the Law, the rules and regulations that God required for a person to be perfect. By doing so, when Christ died on the cross, he was qualified to be the perfect sacrifice that would forgive all our sins. When He died, He fulfilled the Law, or the Old Covenant. He said ‘it is finished’, meaning the old agreement was complete and done. When He died and rose again, he paid the penalty for our sins. We were spiritually crucified with Him. Now all our sins are forgiven, dead and buried. We are now raised up as new creatures in Christ and live as the righteousness of God because of the free gift we received through Christ. We no longer live according to the Old Covenant and trying to live up to the law. We are now free in Christ and we live each day by faith in Him. We live out of love for God because of the grace that was given to us by Christ. When we continue to try to follow the 10 commandments and Old Testament Law, we are saying that the death of Jesus was not enough to pay for our sins. Enjoy the freedom Christ purchased for you. Don’t bind yourself with all the rules and requirements of the law. Live a life being free in Christ, and live it out of love for the one who purchased our salvation.